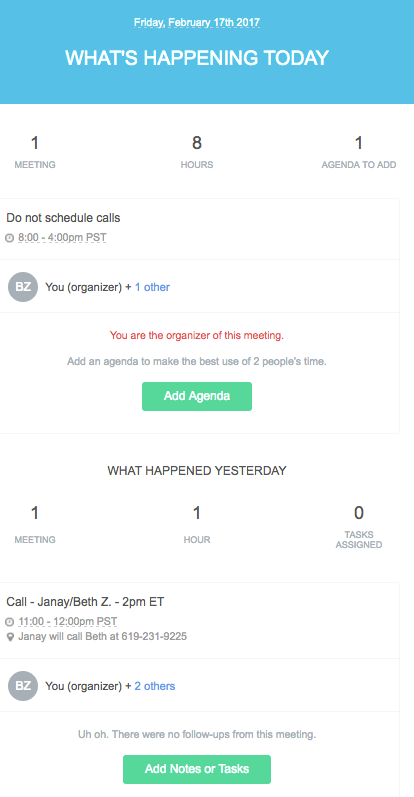 Cisco Spark doesn’t distinguish between calendar appointments (like my recurring hold to not schedule any calls on Friday because I have to do the newsletter) and events that have other attendees. But if I did have a meeting with someone today, I could click on the Add Agenda button to choose a template (or create one of my own). When I take notes in Spark during the meeting, they’re permanently captured and can be shared with other participants. I can also add new tasks and check on old tasks assigned to others. 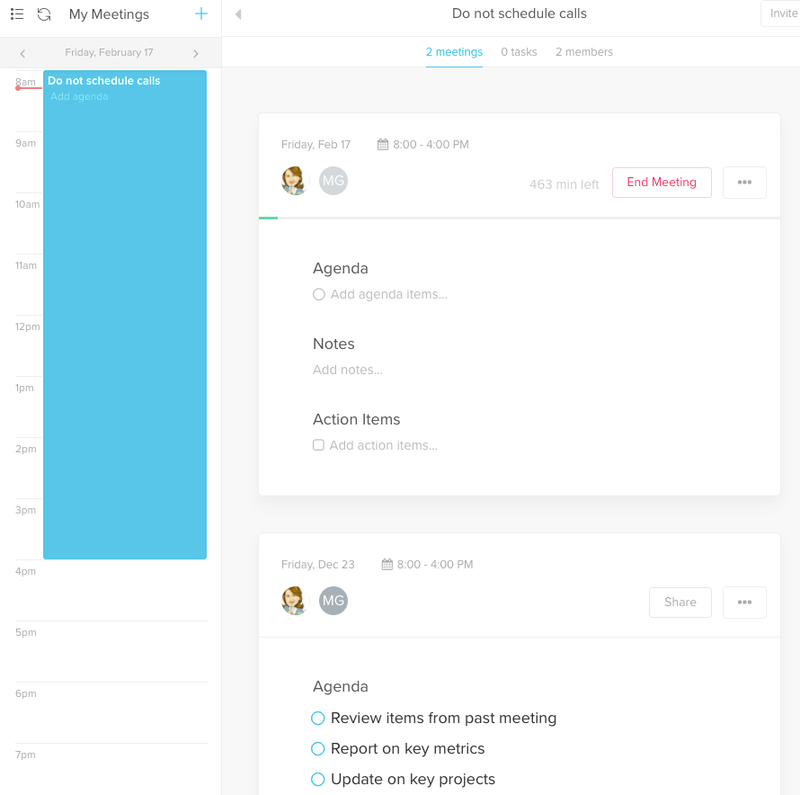 Cisco Spark Meeting Notes can integrate into Trello and Slack so your meetings coordinate with your project management tools. And the best thing about the tool is that it seems like Cisco is going to keep giving it away for free (Worklife had paid tiers).